That’s why some activists and scientists are now discussing the idea of creating a marine reserve so big it would cover most of the ocean. Specifically, they want fishing banned in international waters. 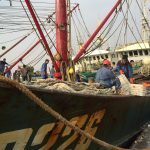 Continue reading Could A Ban On Fishing In International Waters Become A Reality? Recent research suggests fisheries closures would have minimal effect on global food security, but some scientists think the case isn’t so clear cut. Far offshore are the high seas—waters beyond any country’s jurisdiction and the focus of a contentious debate. 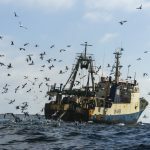 The high seas, which cover nearly two-thirds of the ocean’s surface, have recently seen an increase in fishing and other activities, such as deep-sea mining. 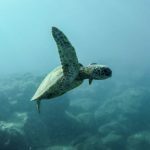 To protect the biodiversity of this vast environment, delegates attending a meeting currently underway in New York are negotiating for a new international treaty, an addition to the United Nations Convention on the Law of the Sea. 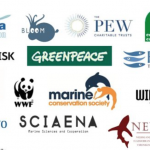 In respect of the UN Oceans Conference, the DSCC is calling on high seas fishing nations to fully and effectively protect deep-sea ecosystems from ‘significant adverse impacts’ of deep-sea fisheries, including through prohibiting bottom trawling on seamounts, as they have committed to do by implementing UNGA resolutions adopted since 2006. 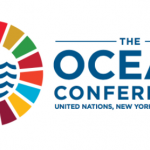 This would be a significant contribution to meeting SDG 14.2 and its target date of 2020 to protect marine ecosystems from significant adverse impacts, strengthen their resilience, and achieve healthy and productive oceans. Negotiations are currently underway at the UN in NYC to decide the fisheries resolutions which will go before the General Assembly next month. On November 9th & 10th the highly destructive practice of bottom fishing in the deep ocean will be under scrutiny. 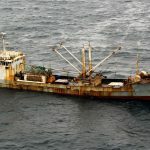 Following a review earlier this year to consider the implementation of previous resolutions seeking to control the negative impact, the DSCC is calling for bottom fishing on seamounts to be stopped to preserve fragile habitats. A resolution proposed by South Africa supports this and also calls for a further review in 2020. This and other proposals will be discussed over the coming two days.